We asked our friend Cody Sandmann, team technician for Warnert Racing, to share some expert tips on how to prep your snowmobile for winter. 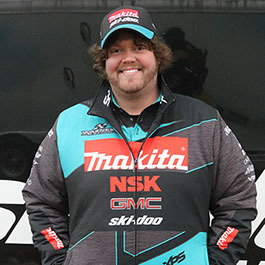 Cody gave us tons of great information to get your season off to a great start. As always, be sure to consult your user’s manual or dealer before performing any maintenance on your snowmobile. What should you do with the old fuel? Depending on how you stored the sled there are a few things you can do. If you used an additive you can top off your sled with fresh non-ethanol premium and run it low on the first tank. If you didn’t use an additive, you can drain your fuel system and flush the lines and put some fresh fuel in the tank. In some cases, your carbs, lines, and fuel pump may need to be cleaned if the fuel has gummed up during the summer. Chain case oil – Do you really need to change it annually? How to tell if it’s time to replace? Chain case oil breaks down with time while being used or even sitting. Depending how many miles you put on your sled or how you ride are factors that can come into play. For the average rider, yearly chaincase drain is a great way to help the life of the parts. For best results it’s ideal to drain the oil, pull your chaincase cover, inspect for any rust (on bearings or chain) along with looking for kinked chain links. If you find a bad chain or chunks inside the chaincase it’s a good idea to replace parts as necessary. Please refer to your owners manual on lube type and bolt torque specs. Belt – How can you tell if its smoked from last season or if there is still life left? Easiest things to look for are cracking, splitting, Kevlar® strands protruding from the belt side or look for discoloration on the belt edge. An overly dark area can show a burn mark from giving throttle while the track is frozen. Steering – There always seems to be some slop in the handlebars to the tie rods. Is that normal or should I replace bushings? There will always be a certain level of slop in the steering system from the factory. But sometimes there is a point where too much play is a concern. As you have pressure on the front end of the sled move the handlebars back and forth and note the amount of play. Trace the steering system from the post to the steering linkage to the tie rod and tie rod ends. If you find an “egged out area” or an area that has excessive play its time to replace the part. In some cases a tight steering system can have its problems. Rusty tie rod ends and linkage can pose tight steering and increased steering effort upon the rider. Power valves – How do I clean those things? Do they need any maintenance? Cleaning your power valves is a great way to help maintain the peak level of performance. Each brand has their own way of removing the valve system but in most cases it involves removing 2 bolts and removing the power valve housing that contains the guillotines (the metal parts that look like wood chisels) when removed you will inspect for excess carbon buildup on the guillotines and within the housing. With the assemblies out you’ll remove the excess oil from the moving parts and the port that goes into the cylinder via brake clean and heavy duty paper towel. Once you have removed all the carbon and oil you will need to replace the valve gasket (the gasket that butts up to the cylinder). Before installing the valve into the cylinder lightly coat with guillotine with the brand oil that you are using in the injection system. Refer to your owners manual and torque the mounting bolts down to spec. Ski dampeners – How do I know if it’s time to replace them and how do I check for wear? Easiest ways of finding a bad ski rubber is lifting the front end in the air (by the bumper or sturdy part of the a-arms) and move the ski up and down. If you have excessive play or a “floppy” ski, your ski dampeners will need replacing. Also look for cracks and missing chunks. Carbides – How can I tell if they should be replaced prior to wearing off all the teeth? Best way to identify if the carbide need replacing are looking for bends, chips, or missing mounting studs while lifting up on the ski. Studs – Do I need to check the tightness of the nut? Or do you set it and forget it like the Ronco Pressure cookers that are for sale on late night TV? Checking the tightness of studs really isn’t necessary unless you just installed them. With time, after installing new studs, the stud base and the backer compress the track and can sometimes be snugged up. If you just installed them (with 0 miles) ride with them for a few hundred miles and do a re-check of the stud tightness (via the nut or the stud base depending on the brand). Hyfax/Slides – how do you tell when they are wore out? Slides have wear indicators on them. It is a small line that is molded into the plastic and when they are wore down enough you will not be able to see it. Other ways are looking for pieces missing and to look for non-uniform wear. Recoil Rope. Do I need to do anything with this? Recoil ropes with time do wear and tear. Some things to look for are fraying and hard spots in the rope. If you have either its time to remove the recoil assembly and replace the rope. If you do find areas of fraying look for sharp areas that the rope could possibly rub on. My sled will not start after sitting all winter. What should I do to get it going? First of all look for the obvious; key turned to the on position, tether plugged in all the way, kill switch is in the ON position, and be sure your main fuel valve (if you have one) is on. If your sled doesn’t start, you first need to look at your mechanical abilities and start with the basics. Replace your spark plugs (maybe they fouled out or are wet after pulling the engine over so many times. if that doesn’t work take a small spray bottle with 32:1 mix and spray a small amount of fuel into the airbox (sometimes a fuel system needs that initial jump start to fill the lines up again and remove the air bubbles. And as a last resort pull your carbs off along with your fuel pump (if mechanical) and give it a good cleaning. For those of you with fuel injection a quick inspection of fuses wouldn’t be a bad idea as sometimes fuses do blow and they do control your fuel system. 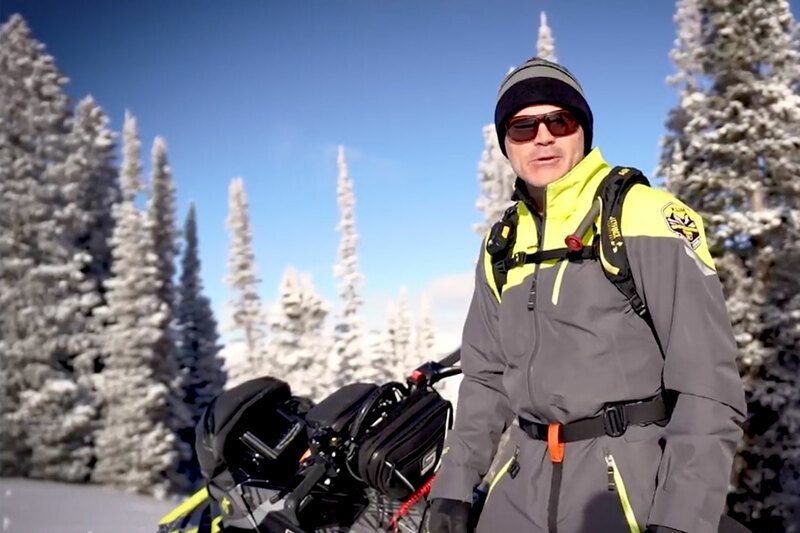 Lastly – If you failed to put your sled to bed properly last winter, what are some steps you should take before you go out for your first ride? Give that sled a quick once over. Look for leaks, worn parts, bent studs, bent carbides, etc. Check all your fluids and top off as needed. If you notice one of your fluids having a significant lower amount maybe look into seeing if there is a problem. Check to make sure your throttle lever moves freely and returns when you let off. Also take note of your brake fluid (or cable) and make sure that system is working properly also. Check that air box for mouse nests. No matter how hard or little you prepare your sled those little critters have a way of making your toy their home. Is any other cleaning or lubricating required? Give that sled a good wipe down with your preferred brand of cleaner or I suggest going into your cleaning supplies in your house and give the sled a good wipe down with Pledge®. Windex® your windshield, give the tie rod ends a quick shot of WD-40® and off you go. A word from the wise; don’t wipe your seat down with any sort of slippery cleaner or polish. That will just make the sled hard to ride overall. Wipe it down or clean it with soapy water. When starting your sled for the first time always have a fire extinguisher handy. I’ve had multiple accounts where the mice have made a home way up in the exhaust and a flaming ball of mouse nest leave at a high speed after you start the sled. Don’t run your sled in a closed area. I love the smell of snowmobiles as much as the next snow geek but those fumes after a prolong amount of time can burn your eyes and lungs. Let that sled warm up for a min before you go and mash the throttle. Be sure to wear all the gear all the time (gloves, helmets, boots, pants, etc.). Carry a map of the trail system your planning to ride in. If you ride in multiple areas keep those maps (up-to-date ones) in a dry Ziploc® bag. Lastly support your local snowmobile club. The people of the snowmobile clubs are the ones volunteering countless hours to make sure you can enjoy your favorite winter pastime safely.